Editor’s note: We are no longer accepting submissions for Secret Santa 2018. Thank you for helping Secret Santa make this Christmas special for so many. Secret Santa is back – and he’s giving away more money than ever before! For the fourth year in a row, an anonymous person has asked EastIdahoNews.com to help him find individuals and families living in eastern Idaho who are in need. 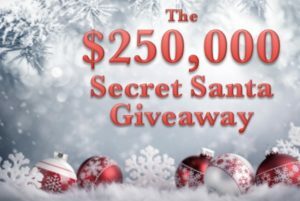 This year he’s giving away $250,000 – a quarter of a million dollars! We need your help finding the most deserving people in our community who have a real need, are doing the best they can with what they have and those who wouldn’t typically ask for a handout. We hope to get nominations from school, community, medical and religious leaders along with employers, neighbors and friends. 1. You cannot nominate yourself. If you’re truly in desperate need of help, have someone nominate you. 2. Recipients must live in east Idaho. 3. Nominations will only be accepted by using the form below. 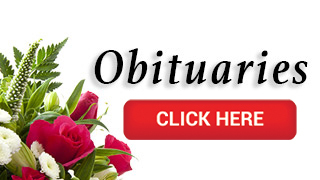 Phone calls, emails and Facebook messages to EastIdahoNews.com do not increase your chances of being chosen. Secret Santa will decide who receives the money and the EastIdahoNews.com elves will surprise recipients from now until Christmas. Some of the reactions will be recorded and shared on EastIdahoNews.com. Secret Santa is back – and he’s giving away $250,000 this year. Here’s how you can help.